ove over a little bit Walt Disney Concert Hall; there is a new iconic building and tourist attraction in Downtown Los Angeles and it is one awesome piece of work. Costing about $140 million to build, The Broad contemporary art museum is a giant honeycomb-looking structure housing 2,000 masterpieces from around the world. 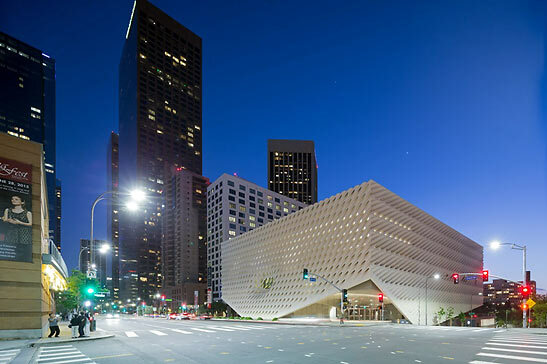 The mega-gallery, which opened to the public on September 20, was developed by philanthropists and longtime art collectors Eli and Edythe Broad. 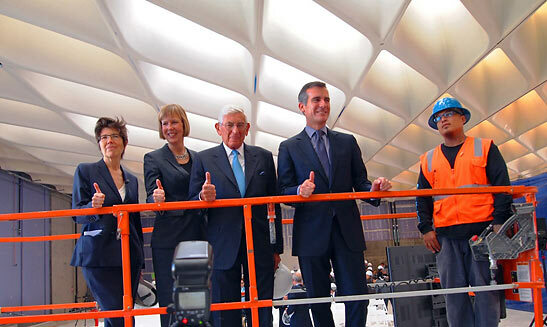 "We built this collection and this museum so that contemporary art could be accessible to all," says Eli Broad. 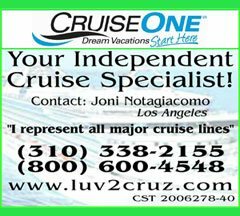 Located on Grand Avenue, in the art and cultural center of LA, The Broads unique and innovative design by Diller Scofidio + Renfro along with Gensler, rivals the shimmering, wavy architecture of it neighbor, the Walt Disney Concert Hall, which was created by Frank Gheary. "We wanted something that would not clash with Walt Disney Concert Hall, but we didn't want it to be anonymous either and we found just what we were looking for in the design," said Eli Broad, when construction on the project began two years ago. What the architect created was a unique, three-story "vault-and-veil" design, with a strong, concrete and glass base surrounded by a flowing, honeycomb-shaped exterior component. With this style, the museum contrasts Disney's shiny and smooth metallic finish by being porous and brittle and bringing in lots of natural light. The exterior "veil" of the building is a structural exoskeleton comprised of 2,500 fiberglass reinforced concrete panels and 650 tons of steel that drape over The Broad and appear to lift up at two corners to expose street-level entrances. A highlight of the honeycomb exterior is the "oculus," located in the center of the building on the Grand Avenue side. This architectural feature is a huge, curved indentation in the side of the building, making it look like it was hit by a giant golf ball. 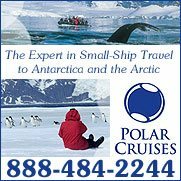 The 120,000-sq-ft, three-story museum building houses nearly the entire Broad collection, while providing 15,000 sq-ft of exhibition space on the ground floor and 35,000 sq-ft of column-free space on the third floor, with filtered natural light from skylights and windows. The "vault" component of the building is the heart of the interior, where the museum stores its overflow of world-class art. The heavy, opaque volume of the "vault" is always in view, hovering midway in the building. Its carved underside shapes the lobby below and the public circulation routes. 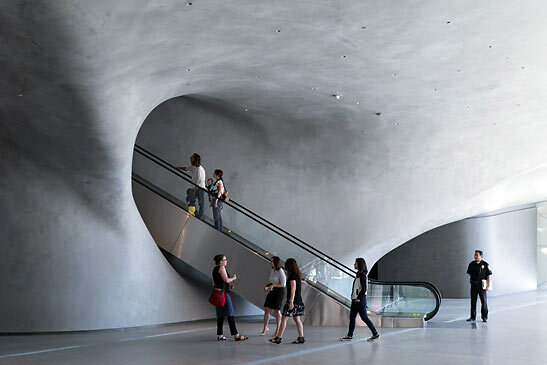 Once the public enters The Broad from the street level, they are transported upward by a 105-ft escalator, tunneling through the vault toward the light above to arrive onto the third-floor gallery. Visitors then descend through the vault via a winding stair that offers glimpses into the vast holdings of the collection through overlook windows into storage areas. "Our goal has been to honor the responsibilities of the museum as a collecting institution by making the curatorial functions visible front and center," says Elizabeth Diller, principal-in-charge of Diller Scofidio + Renfro. "The porous exoskeleton that we call the veil admits filtered natural daylight, channeling light into the public spaces and galleries." Besides the art inside the building, the construction of the new museum also brought improvements to the streetscape on Grand Avenue and the construction of public amenities such as a 24,000-sq-ft public plaza, landscaped with a grove of 100-year-old Barouni olive trees and a tilted lawn; a new mid-block crosswalk and planted median, connecting The Broad on the west side of Grand Avenue with MOCA and the Colburn School on the east; and a pair of wide stairs and an elevator connecting the plaza with the planned Hope Street Metro Regional Connector Rail station at 2nd Street. At the western end of the plaza will be Otium, a new free-standing restaurant developed by Bill Chait and Chef Timothy Hollingsworth that will open later this fall. 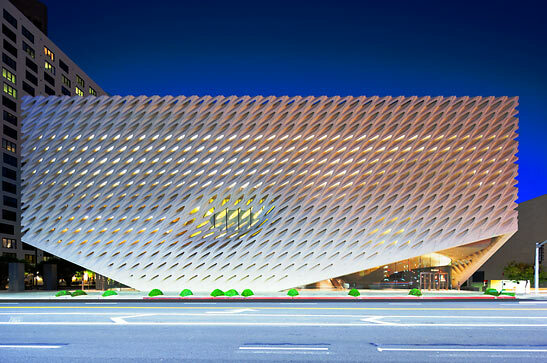 The Broad has also constructed a 155,000-sq-ft, three-story, 344-space, subterranean parking garage.